Farmers who enroll in the Soil Health Partnership gather lots of data regarding what is happening on their farms. To help them characterize what’s happening from a business performance outcome as they go through the program, there are specific data platforms and methods available. 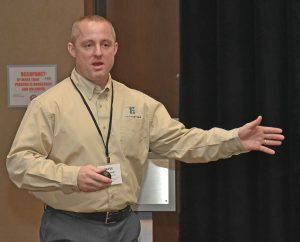 Muth led a breakout session at the 2018 Soil Health Summit and also participated in a general session during the conference. He said farmers need to understand where they have separate functioning businesses within their fields, they can calibrate their business plan better to deal with that.